Newcastle are close to signing Venezuelan striker Salomon Rondon from West Brom. The two clubs have been negotiating a deal for the 28-year-old, which could be concluded over the weekend. 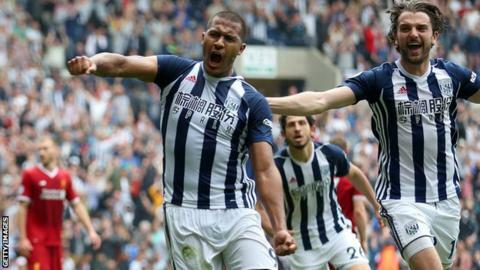 Rondon was not included in West Brom's squad for their Championship opener against Bolton on Saturday. Magpies boss Rafael Benitez has been looking to strengthen his squad and Rondon would be the sixth signing of the summer transfer window. Japan striker Yoshinori Muto signed on Thursday, following the arrival of Switzerland defender Fabian Schar from Deportivo La Coruna last week. Goalkeeper Martin Dubravka joined on a permanent contract following a six-month loan spell, while they have also added former Swansea midfielder Ki Sung-yueng on a free transfer and Chelsea midfielder Kenedy has returned on a season-long loan.